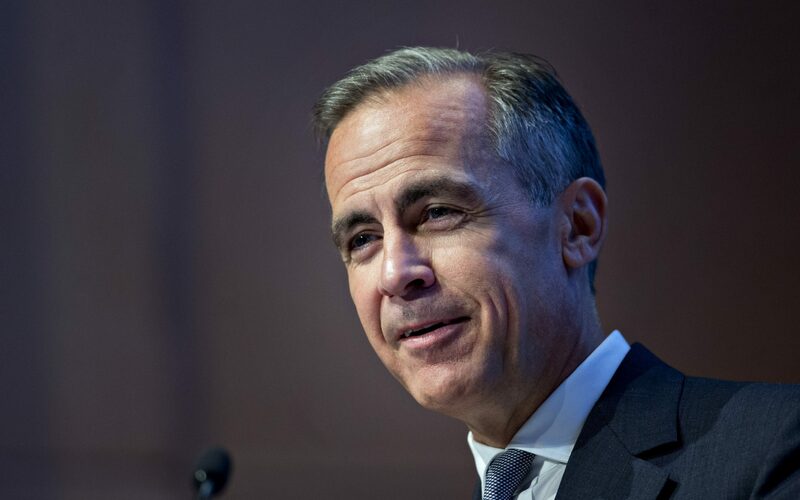 Better-than-expected manufacturing figures indicating that sector is still in rude health have paved the way for the Bank of England's first interest rate rise in a decade. Ahead of the Monetary Policy Committee's meeting tomorrow, the pound has pared its early gains on the currency markets and finished trading in flat territory against the dollar, however. Sterling had jumped over $1.33 against the greenback as any lingering doubts surrounding a rate hike were extinguished by IHS Markit's closely-watched manufacturing PMI survey coming in at 56.3 (any reading over 50 indicates growth). The FTSE 100 has slipped into the red late on despite miners climbing after the Caixin manufacturing PMI survey in China showed that the Asian powerhouse's sector is still expanding. Meanwhile, bellwether retailer Next has plunged 9.1pc and dragged its sector peers down with it after warmer weather knocked its third quarter in-store sales. What can the Bank of England do if the economy stumbles? 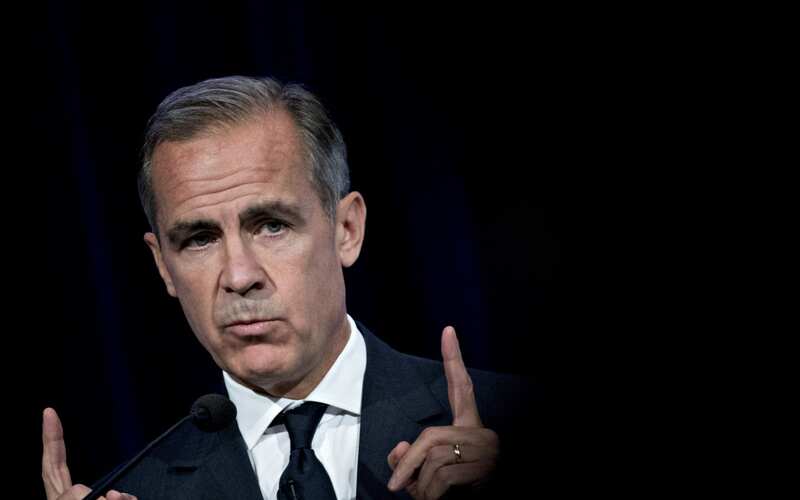 Mark Carney is set to raise interest rates tomorrow, for the first time in a decade. He and his colleagues at the Bank of England have dropped plenty of very strong hints that it is time to raise interest rates from 0.25pc to 0.5pc to stave off rising inflation. But the economy is not particularly strong right now. GDP growth of 0.4pc in the third quarter was an improvement on the previous six months’ measly expansion, but still nothing spectacular. That weak growth raises an alternative question – what happens if the economy takes a turn for the worse? A top Bank of England official has warned that around 10,000 jobs in the UK are at risk on "day one" of Brexit. 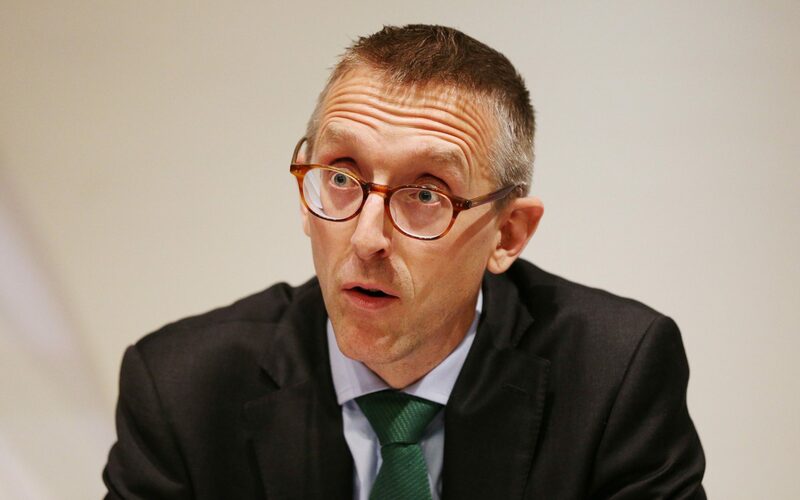 Sam Woods, chief executive of the Bank's Prudential Regulation Authority (PRA), said it was "plausible" as many as 75,000 financial roles could be lost if no trade deal was struck with the European Union. The estimate is not a Bank of England figure but was compiled by consultant Oliver Wyman and is in line with the regulator's thinking, as first reported by the BBC. Half the forecast redundancies would be banking jobs, with the rest in related services such as law and accounting. After a buoyant start to the day, the pound is easing off this morning's highs as we approach the end of trading in Europe. Tomorrow's expected interest rate rise would be a double-edged sword for those saving up to buy a house, according to head of pensions at Aegon Kate Smith. 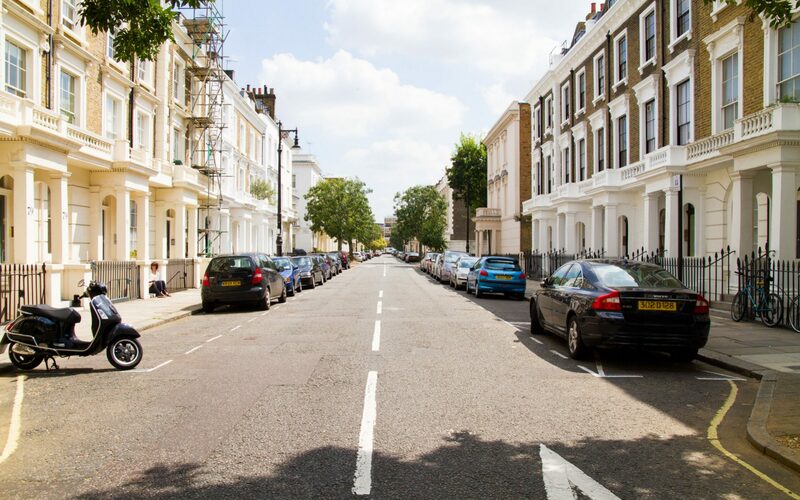 "On the one hand they’ll earn more interest on their savings, but also see mortgage rates creep up, keeping a house purchase tantalisingly out of their grasp. "There’s also a real concern that a combination of low pay growth, higher interest rates and higher inflation will erode household incomes to such an extent that they’ll not be able to withstand the increase in auto enrolment contribution rates next April, which might lead to higher opt out rates." A quick note on stocks over in the US. The Dow Jones and S&P 500 have nudged up this afternoon and, like in Europe, miners and oil stocks are leading them higher as commodity prices rise. 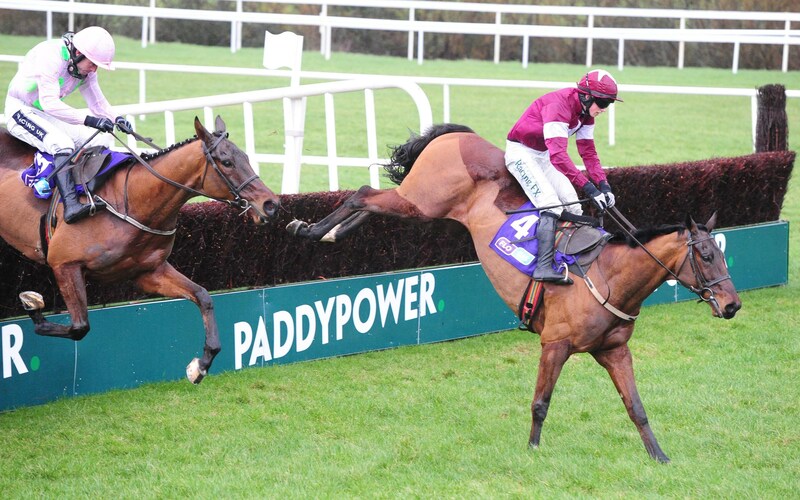 Strong sales overseas helped Paddy Power Betfair make up for the lack of a major football tournament in the last quarter. Revenues in Australia, now the bookie's second largest division by sales behind online, grew 29pc to ?111m in the three months to September 30. The smaller US business recorded an 18pc rise to ?28m. This more than counteracted the 3pc drop to ?216m within its online division for the period, which was partly caused by the comparable period benefiting by ?16m from the final stages of the Euro 2016 football championships. Outgoing chief executive Breon Corcoran said the company still expected to hit its target of between ?450m-?465m in adjusted operating profits for this year. Having cemented its place as one of the "big four" supermarkets, Sainsbury's now wants to prove it's Top of the Shops. The grocery giant will begin releasing its own vinyl albums in over 160 of its stores from next week. 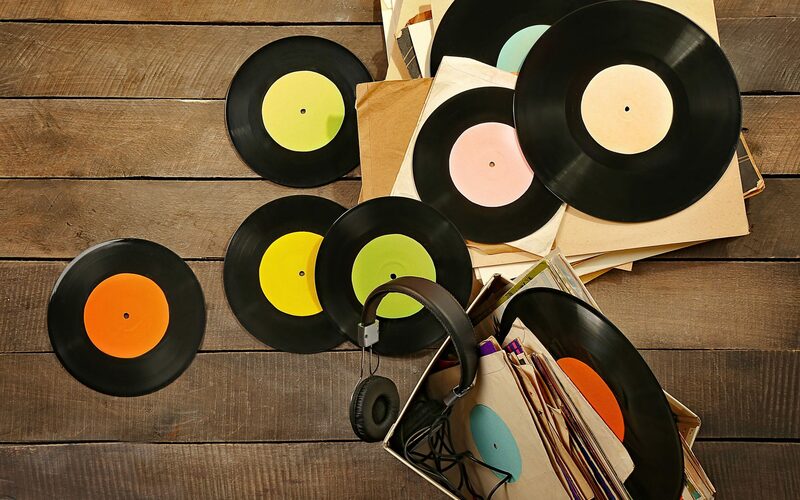 Sainsbury's, which claims to already sell one in 20 vinyls in the UK, will launch two 20-track albums called 'Hi Fidelity - A Taste Of Stereo Sound' and ‘Coming into Los Angeles – A Taste of West Coast’ and include tracks by Fleetwood Mac, Cat Stevens and Elton John. With an interest rate hike to 0.5pc almost entirely priced into the pound, there is "little room to impress and so much more room to disappoint", according to LMAX Exchange currency strategist Joel Kruger. The split in the vote in the Monetary Policy Committee deciding whether to hike interest rates is likely to be a key focus for traders. A small majority in favour of a rate rise, such as a 5-4 or even 6-3 split in the vote, would signal to the markets that a second hike is unlikely in the foreseeable future and limit the pound's performance. An unanimous decision, which is unlikely given the cautious tone of policymakers Sir Dave Ramsden and Jon Cunliffe's recent comments, or strong majority is likely to lift the pound. 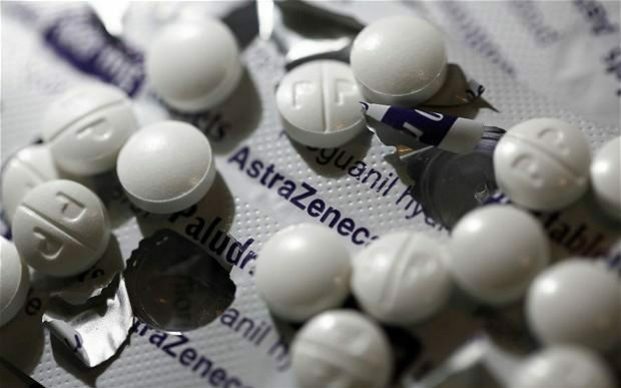 AstraZeneca has been boosted by US approval for a novel cancer drug, helping investors in the FTSE 100 drugmaker shrug off a separate setback for its experimental therapy for severe asthma. Regulator the Food and Drug Administration (FDA) gave the green light for cancer therapy acalabrutinib, now branded Calquence, after close of trading yesterday. The drug can now be used to treat patients with relapsed mantle cell lymphoma, a form of blood cancer. The early decision came as a welcome surprise for investors as analysts hadn’t expected a verdict until the first quarter of next year. 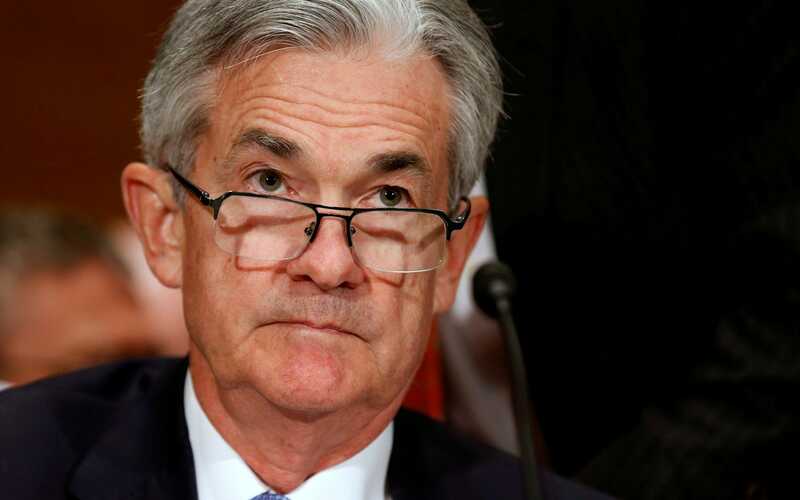 Although the US Federal Reserve is expected to leave its own interest rate unchanged later this evening, today's policy meeting is considered just a sideshow to the race to be the central bank's next chair. It is thought that Donald Trump will announce the next Fed chair on Thursday and is leaning towards picking current policymaker Jerome Powell. Like current chair Janet Yellen, Mr Powell is considered to be at the dovish end of the central banking spectrum and his appointment would indicate that monetary policy in the US will continue along its current path. With Mr Powell's appointment imminent and the Bank of England's decision tomorrow taking centre stage on the markets, today's Fed decision has become a bit of a non-event. "There is certainly no reason for the FOMC to want to cement further this already high expectation of a rate hike and therefore there is little reason to expect any explicit guidance on a rate increase in December." 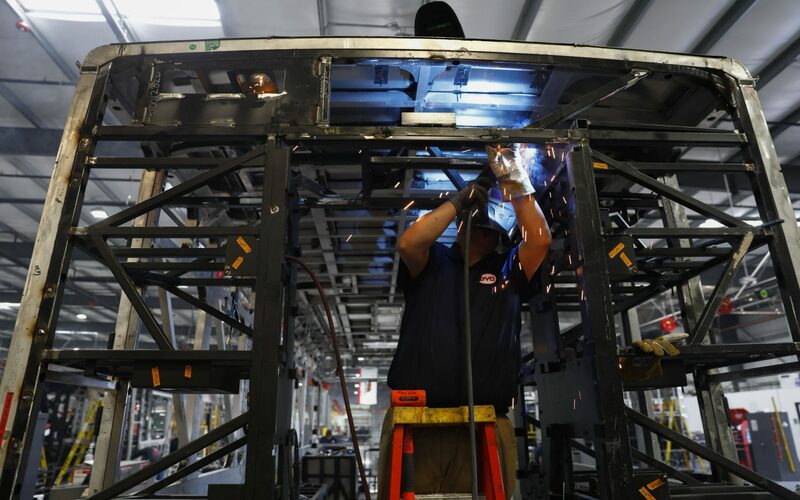 Britain’s manufacturers are increasingly optimistic that the economy is in recovery mode, hiring staff at their fastest rate in more than three years to ramp up production. Growth accelerated in the sector as new orders picked up and exports kept growing. The purchasing managers’ index - an influential survey compiled by IHS Markit - rose to 56.3 for October, up from 56.0 in September and beating expectations that it would slip a touch to 55.9. Any score of above 50 indicates growth, so this improvement shows the sector accelerating. “UK manufacturing made an impressive start to the final quarter of 2017 as increased inflows of new work encouraged firms to ramp up production once again,” said Rob Dobson from IHS Markit. It's not just the markets which are pricing in an interest rate hike to 0.5pc in tomorrow's Bank of England monetary policy meeting, average punters are too. The odds of the central bank reversing last year's emergency post-Brexit cut have shortened to 1/10 before tomorrow's meeting, according to bookmaker Betway. Meanwhile, the markets are currently pricing in a 91.2pc chance of a rate rise meaning that the pound's movement may be muted tomorrow unless the MPC signals its standpoint on future rate increases. Official US job figures for October are not due until Friday but we have had a little taster of what expect in the last few moments in the form of ADP's employment change statistics. 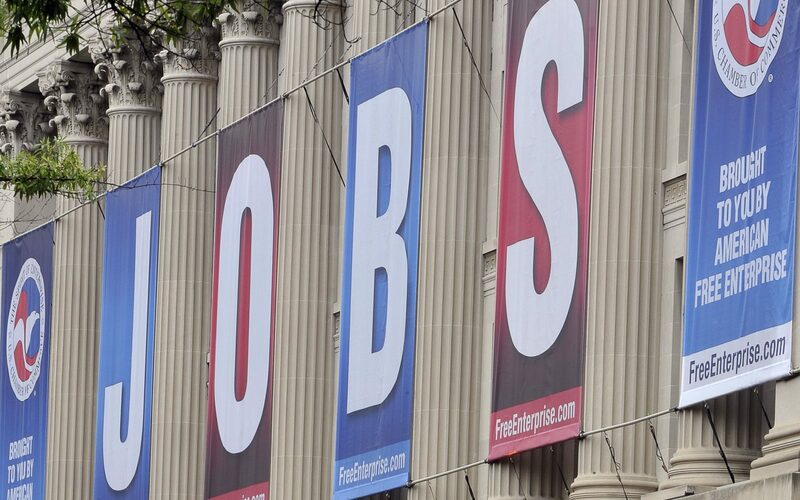 Its data showed that 235,000 jobs were added to the US economy in September as hurricane season falls out of the figures. Although today's figure and Friday's official non-farm payroll don't correlate exactly, the ADP beat does suggest that October's official job numbers will also rebound strongly. Let's get one last look at the reaction to today's expectations-beating manufacturing figures before we turn our attention to the US Federal Reserve and Bank of England's policy meetings today and tomorrow. Dave Atkinson, UK head of manufacturing at Lloyds Bank, gave his two cents on how the sector can keep well above that "magic" 50 mark (a score higher than 50 indicates growth). "In order to keep growing it’s important businesses think about boosting productivity and take steps to create growth opportunities, whether that is looking at new export markets or taking steps to improve efficiency, freeing up capital to invest. "The Government’s Made Smarter review out this week argues that the sector can benefit hugely by harnessing industrial digital technologies. It could help raise productivity and create jobs, as well as unlock more than ?455 billion for the UK economy." Duncan Johnston, UK manufacturing industry leader at Deloitte, argued that it was a "concern" that input prices continue to rise and could result in higher prices for customers. "Reduced investment appetite risks hindering productivity growth in the sector. Last week’s CBI Industrial Trends Survey highlighted that investment intentions have waned, while the EEF have found that investment in plant and machinery has dropped." House prices in the UK saw a slight pick-up in growth last month, rising 0.2pc between September and October, according to Nationwide. Annually, price growth edged up to 2.5pc from 2.3pc in September, taking the average property price in Britain to ?211,085 and exceeding economists' predictions of 2.2pc. Nevertheless, the outlook for the housing market remained subdued, and it is far lower than last October's rate of 4.6pc. While low mortgage rates and healthy employment are providing some support for demand, pressure on household incomes and falling real wages is weighing on confidence, Nationwide said. 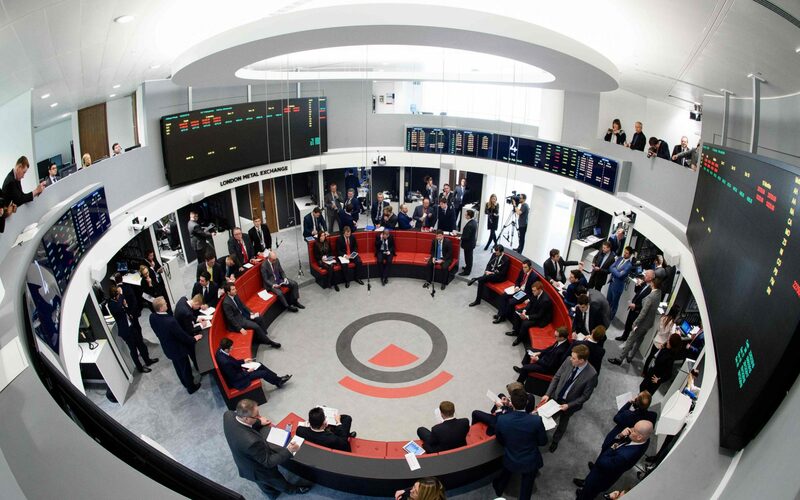 The start to November has been a bit of a firecracker on the markets with oil prices climbing for a seventh consecutive day, the pound buoyant ahead of tomorrow's Bank of England decision and European mining stocks collectively at their highest level since January 2013. Brent crude has extended its winning streak after data from oil cartel OPEC showed that compliance among its members continues to improve. 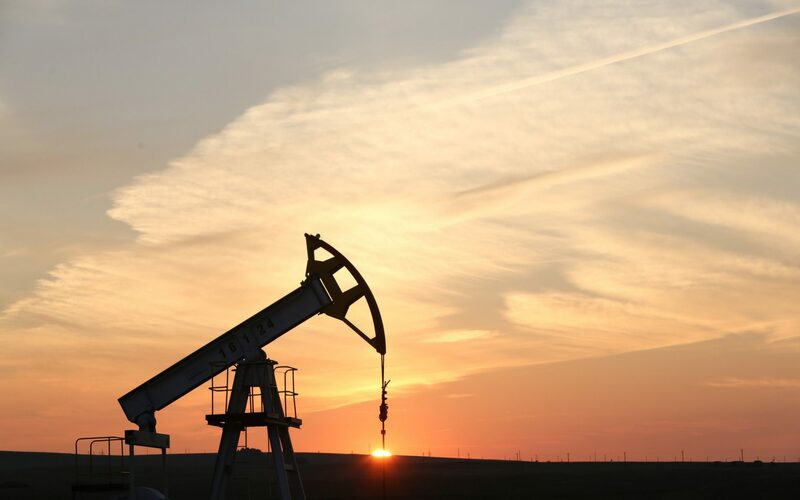 Brent's 1pc rise today to above $61.50 per barrel has sent London's mid-cap oil producers, which are highly dependent on strengthening oil prices, are soaring. Meanwhile, the STOXX 600 Basic Resources Index, a measure of European miners' share price performance, has jumped to its highest level in almost four years as metal prices surge. "November looks set to start off with a bang, as economic and corporate data comes thick and fast for the remainder of the week. "As if a week full of top tier central bank, economic, and corporate news wasn’t enough, tomorrow now promises to see ‘Super Thursday’ turn into ‘Mega Thursday’, with the announcement of the Trump tax and his pick for the new Fed chair." Shares in Next dived more than 8pc in morning trading after the high street bellwether warned “extreme volatility” made it hard to forecast sales ahead of its key Christmas trading period. "Week by week sales volatility makes it very hard to determine any underlying sales trend," the fashion retailer said as it posted sales growth of 1.3pc in its third quarter. 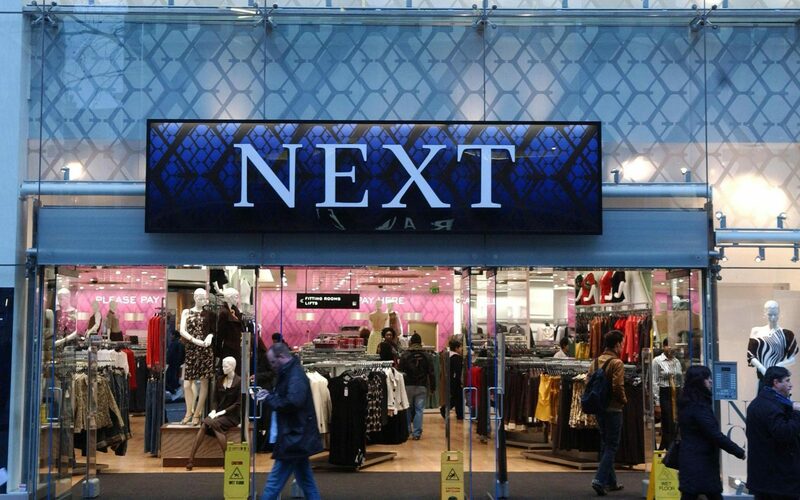 Next said that the 0.3pc decline in sales in the year-to-date was “the most reliable guide” to the rest of the year. “Sales performance has remained extremely volatile and is highly dependent on the seasonality of the weather,” the retailer added, adding that cooler temperatures boosted sales of warm clothing in August and September. Manufacturing has outperformed the rest of the economy ever since the UK voted to leave the EU with the sector's exports rising strongly on the pound's new-found competitiveness. The weaker pound and healthy global demand are helping British manufacturers compete in foreign markets, explained EY ITEM Club chief economic advisor Howard Archer. "The weakened pound could also encourage some companies to switch to domestic sources for supplies, which would help manufacturers of intermediate products. "Domestic conditions look challenging despite October’s pick-up in orders. Increased prices for capital goods and big-ticket consumer durable goods, weakened consumer purchasing power, and economic and political uncertainty threaten to hamper manufacturers. "Businesses’ willingness to invest and buy capital goods is being tested by extended lacklustre UK economic activity as well as Brexit uncertainties." 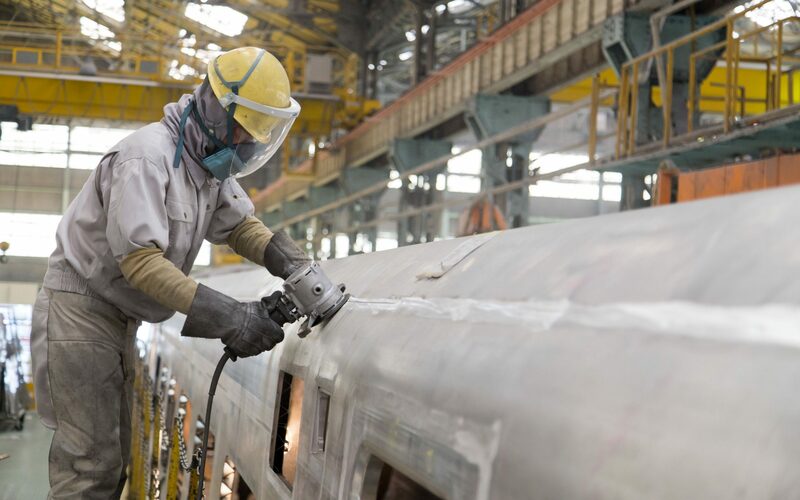 The continued momentum in the manufacturing sector suggest the MPC won't hesitate to hike interest rates tomorrow, according to Pantheon Macro UK economist Samuel Tombs. He added that small drops in the future activity and quantity of purchases indices suggest that "manufacturers are preparing for demand to weaken a little, perhaps in response to higher interest rates", however. Some have questioned whether the economy is strong enough to handle a hike but today's reading and last week's better-than-expected GDP growth reading should ease those doubts. This morning's stronger-than-expected manufacturing PMI reading should dispel any doubts lingering on the markets over whether the Bank of England will pul the trigger on interest rates in tomorrow's crucial meeting. The sector scored 56.3 in October, a slight pick-up from September's already robust reading of 56.0 (any score above 50 indicates growth). IHS Markit said that new order volumes continued to rise at a robust rate with companies benefiting from strong domestic market conditions and rising new export business. 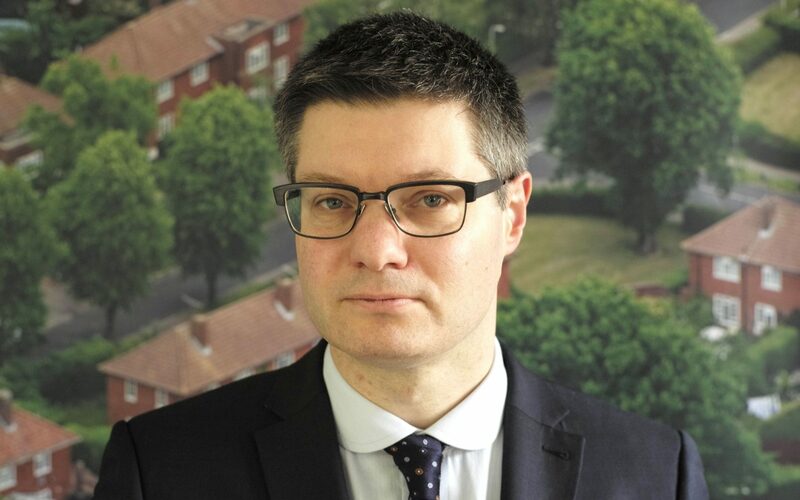 IHS Markit's director Rob Dobson said that the sector had made "an impressive start" to the final quarter of the year with an increase in new work encouraging firms to "ramp up production once again". "The sector looks to be achieving a quarterly rate of expansion close to 1%, therefore sustaining the solid pace of growth signalled by the official ONS estimate for the third quarter. "The domestic market remained strong, whereas new export orders increased at a slightly slower pace, the latter showing signs of being hit by the recent strengthening of sterling." There is one final econ reading before the BoE's decision but it is from the much smaller construction sector, which has been struggling for the last couple of months. The manufacturing sector started the third quarter on the front foot and picked up the pace in October, IHS Markit's closely-watched PMI survey has shown in the last few moments. The pound has jumped to a new intraday high against the dollar following the stronger-than-expected performance, rising 0.3pc against the dollar to $1.3318. Warmer weather kept shoppers away from Next shops in the third quarter and the bellwether retailer is being punished on the FTSE 100 this morning for the slip in store sales. The retailer said that its "sales performance has remained extremely volatile and is highly dependent on the seasonality of the weather" and that, just as cooler weather improved sales last year, the mild Autumn led to a 7.7pc fall in retail sales. After plunging as low as 8.6pc in early trading, Next shares have recovered to a 6pc drop for the session. "This is quite a change from the refreshingly upbeat August and September updates/results which saw guidance raised and a confidence-inspiring share buyback announced, engineering a share price breakout to fresh 12-month highs. ""Week-by-week sales volatility making it difficult to determine underlying trends” is also not the best outlook message to deliver heading into the important Q4 period. Even more so when you face a tough comparison period." The markets believe that an interest rate increase in tomorrow's Bank of England monetary policy decision is all but a done deal but could a weaker-than-expected reading in today's manufacturing PMI sow a seed of doubt? One would imagine not. 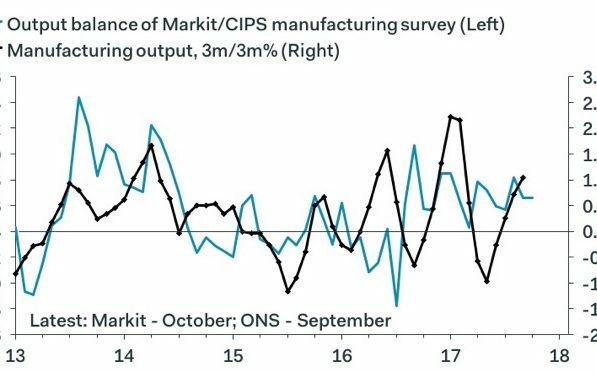 Although manufacturing, which has been the best performing of the three sectors IHS Markit has divided the UK economy into, did slow in September's reading, the survey indicated that the sector is still in rude health and that is expected to continue today. The pound could pull back on a weaker number today, however, according to CMC Markets analyst Michael Hewson. "A weak number could throw a significant amount of shade over tomorrow’s rate decision, and undermine some of the pounds recent gains over the past couple of days, which were also aided by yesterday’s comments from the EU’s Brexit negotiator Michel Barnier that he was ready to speed up Brexit talks. This fascinating tweet from economist Rupert Seggins shows how large the manufacturing sector is in the UK economy. It's easy to forget how much the services sector dwarfs everything in comparison. 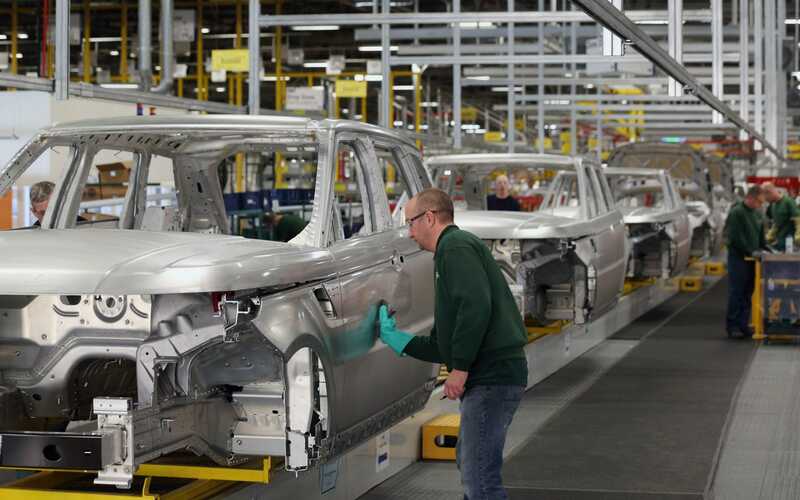 Britain's buoyant manufacturing sector is the focal point for the markets this morning with IHS Markit's PMI survey expected to show that the sector maintained its robust growth in October. Aided by the weaker pound making exports cheaper, the manufacturing sector has been a bright spot in the UK economy and economists believe the sector will score a reading of 55.9 in today's closely-watched survey (any figure above 50 indicates growth). 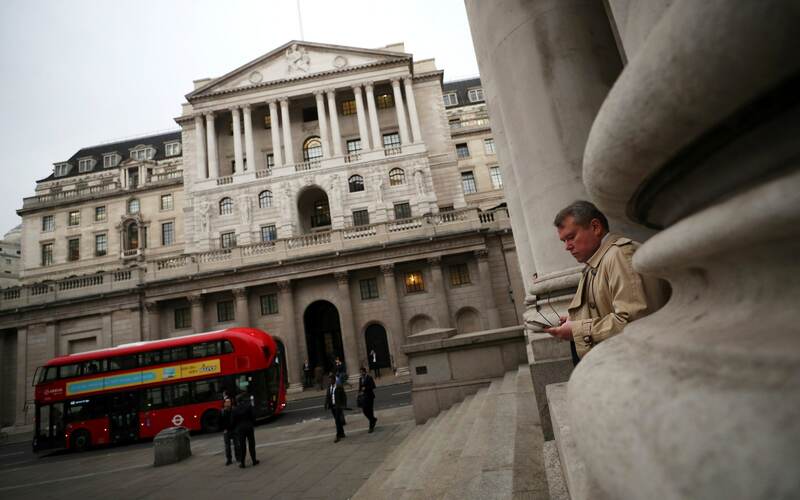 The release will be one of the final health-checkers of the UK economy before the Bank of England's Monetary Policy Committee convenes tomorrow to decide whether to hike interest rates. Ahead of the data due at 9.30am, the pound's winning streak has extended to a third day, advancing 0.3pc to above $1.33 against the dollar.